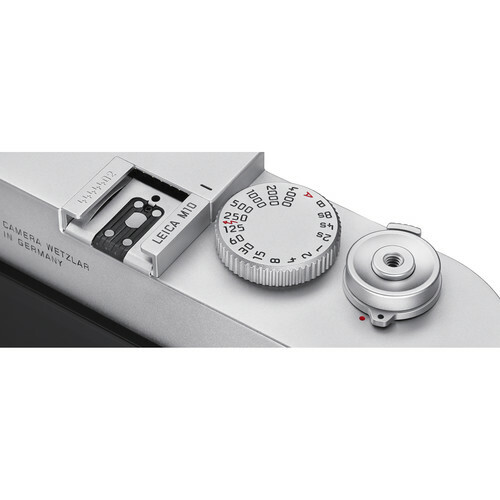 The Leica M10 blends a pared-down physical design with enhanced imaging capabilities to produce an elegant and intuitive tool for still photography. 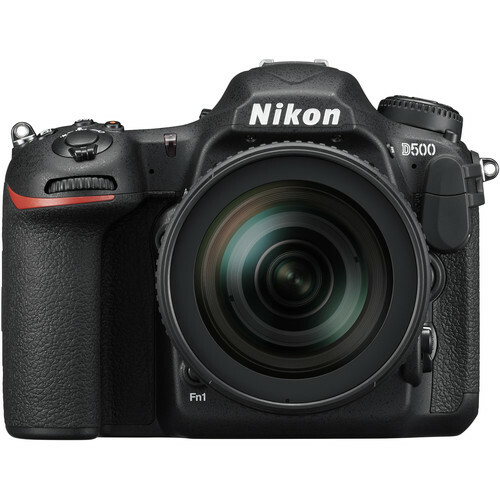 Utilizing a redeveloped 24MP full-frame CMOS sensor and Maestro II image processor, the M10 yields high-resolution imagery with an extended dynamic range, high sensitivity to ISO 50000, and a continuous shooting rate of 5 fps. 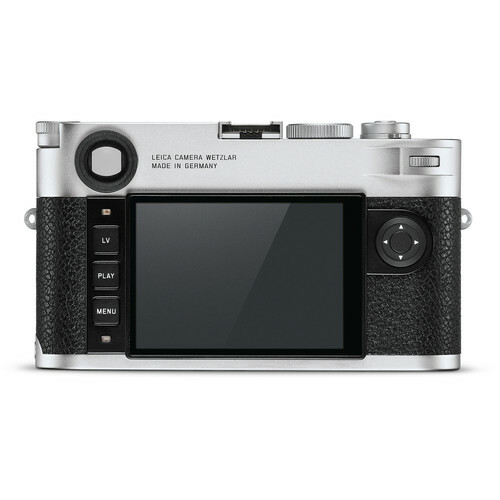 Separating itself from previous digital M rangefinders, the M10 features a slim body profile reminiscent of M film cameras, and the optical viewfinder’s magnification has been increased to 0.73x for greater composition and focusing accuracy. The body design also incorporates a dedicated ISO dial for quick adjustment, even when the camera is turned off, and the rear 3.0″ 1.04m-dot LCD features a Gorilla Glass cover to guard against scratching and light impacts. Also contributing to durability, the top and bottom plates are constructed from brass and the chassis is built from magnesium alloy to realize a robust physical construction for long-lasting use. Additionally, unique among M cameras, the M10 also sports an integrated Wi-Fi module for wireless sharing and remote camera control from a linked mobile device. Refocusing their attention on the basics, the M10 pares down its feature-set to reveal a more simplified and direct method for working. 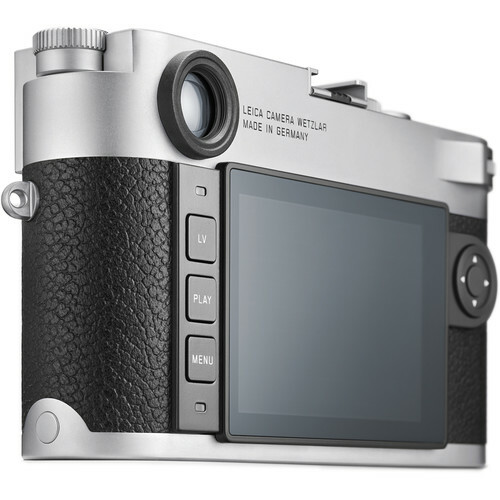 Taking cues from Leica’s film camera legacy, the M10 has the slimmest body of any digital M camera, and also distinguishes itself with a physical ISO dial, higher magnification optical viewfinder than previous digital Ms, and the omission of video recording in order to focus purely on still photography. 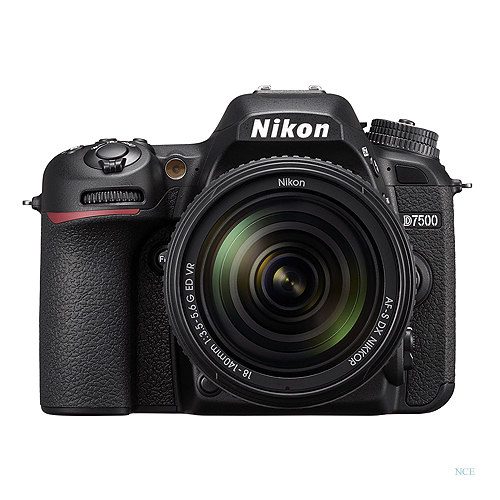 A redeveloped full-frame 24MP CMOS sensor pairs with the Maestro II image processor to deliver a wide dynamic range with notable color rendering, as well as enhanced sensitivity from ISO 100-50000 to suit working in a variety of lighting conditions. 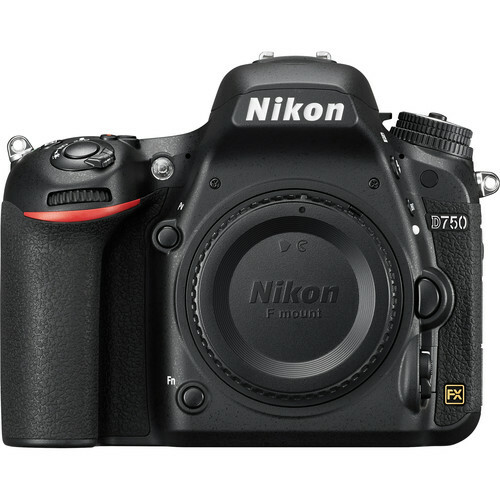 The image processor also incorporates a 2GB buffer to afford fast continuous shooting at 5 fps for up to 40 consecutive frames in a burst. 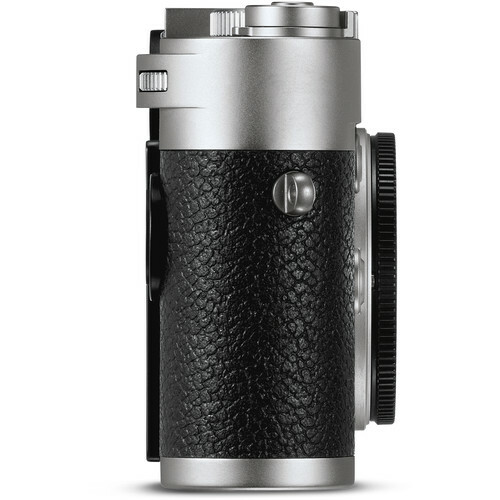 The optical viewfinder is a large, bright-line 0.73x-magnification rangefinder with automatic parallax compensation and bright-line frame lines, which are set to match the image sensor size at a focusing distance of 6.6′. 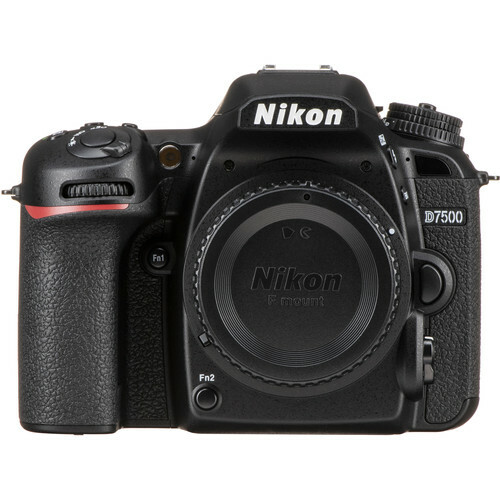 On the front of the camera, a viewfinder frame selector can also be used to manually change the apparent image field to help visualize the scene with varying focal lengths; options are available in 35mm/135mm, 28mm/90mm, and 50mm/75mm focal length pairs. 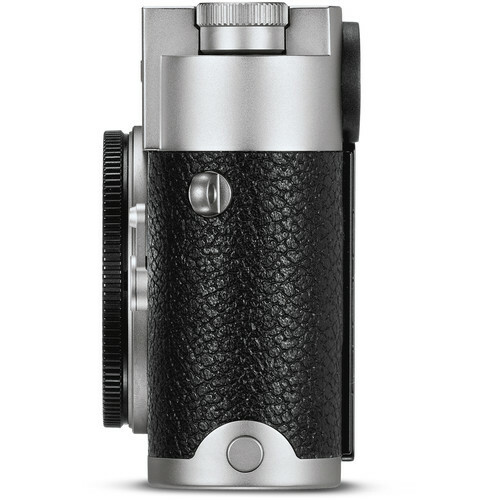 The rangefinder mechanism displays split or superimposed bright field images within the center of the viewfinder to benefit accurate manual focusing control. The effective rangefinder metering basis is 50.6mm (mechanical metering basis 69.31 mm x viewfinder magnification of 0.73x). 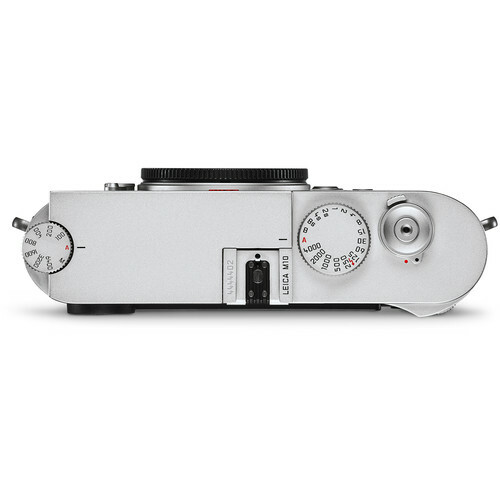 Slim body profile is reminiscent of Leica’s film cameras for easier handling and manipulation. 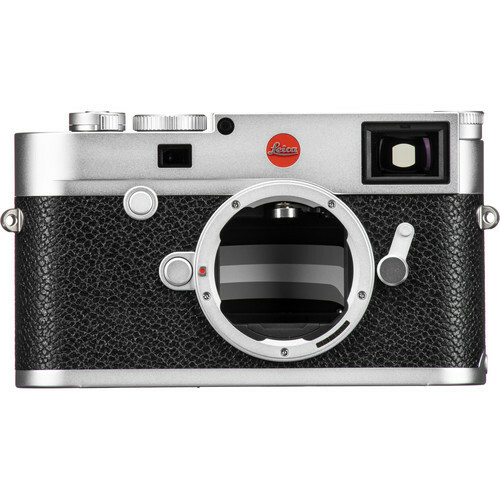 Integrated ISO dial is featured on the top plate to permit simple and direct adjustment of sensitivity values, even when the camera is turned off. 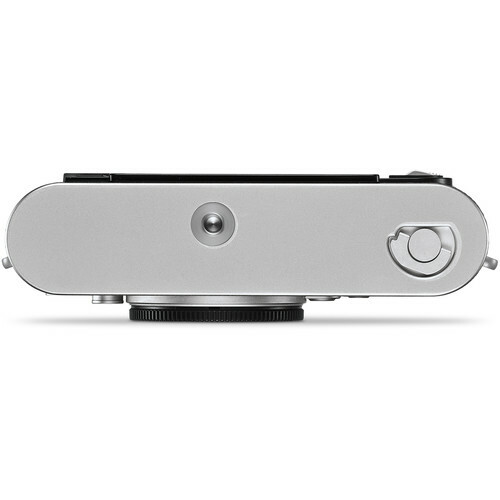 The rear of the camera features just three buttons—live view, playback, and menu—for more simplified and intuitive navigation of the camera’s control-set. A programmable Favorites menu can be used, which allows you to define your most oft-used settings and select them for easy, one-touch access. 3.0″ 1.04m-dot LCD monitor provides a high-resolution means for image playback as well as live view shooting. Rear LCD monitor has a Corning Gorilla Glass cover to protect it against scratching and impacts. Top and bottom plates are machined from solid blocks of brass and the chassis is built from magnesium alloy for a truly durable, hard-wearing physical construction. Rubber seals are used to prevent the entrance of light rain and dust to enable working in inclement conditions. 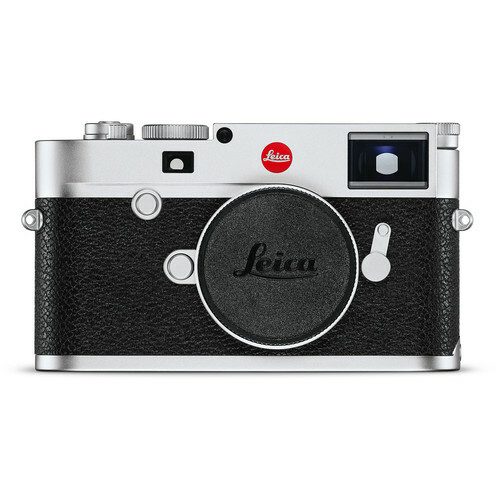 Built-in Wi-Fi permits sharing imagery directly to a linked smartphone and also enables remote control over the M10 to adjust select shooting parameters or to release the shutter via the Leica M app.